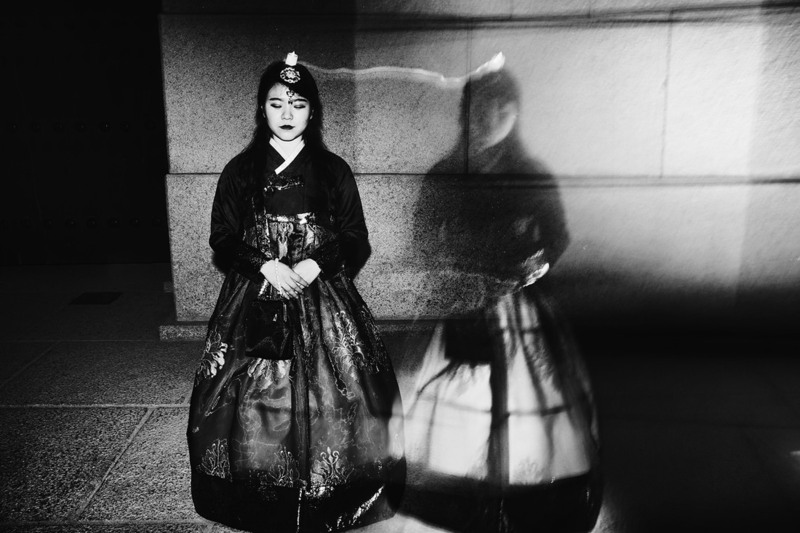 ​In South Korean society, losing face is the worst thing that can happen to a person. The damage of having one’s identity lost to shame is so ruinous, that it can completely destroy a person’s social standing and authority. 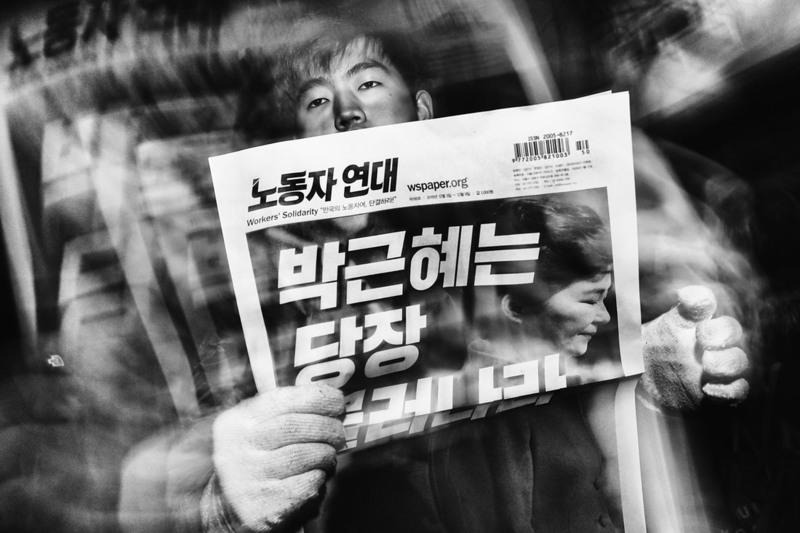 Read All About It - A man sells Workers' Solidarity newspapers to protesters marching towards the presidential Blue House. The headline reads: Park Geun-hye Resign Now. 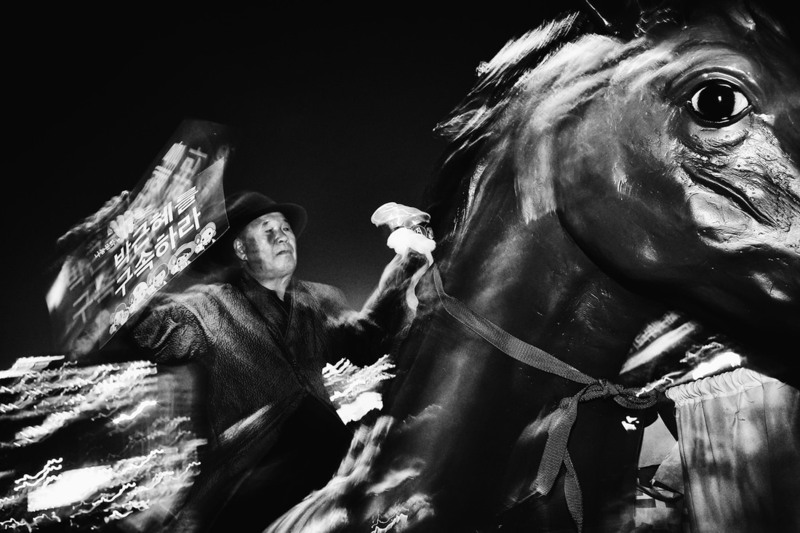 Dark Horse - A demonstrator rides a fiberglass horse in Gwanghwamun Square to deliver his protest message to others. 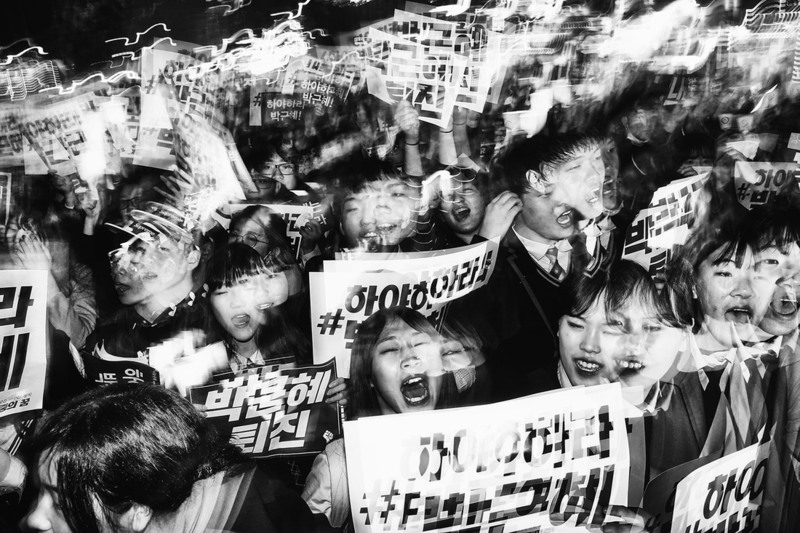 Student Protesters March - Among the most vocal and energetic groups taking part in the anti-president demonstrations are young South Korean students. 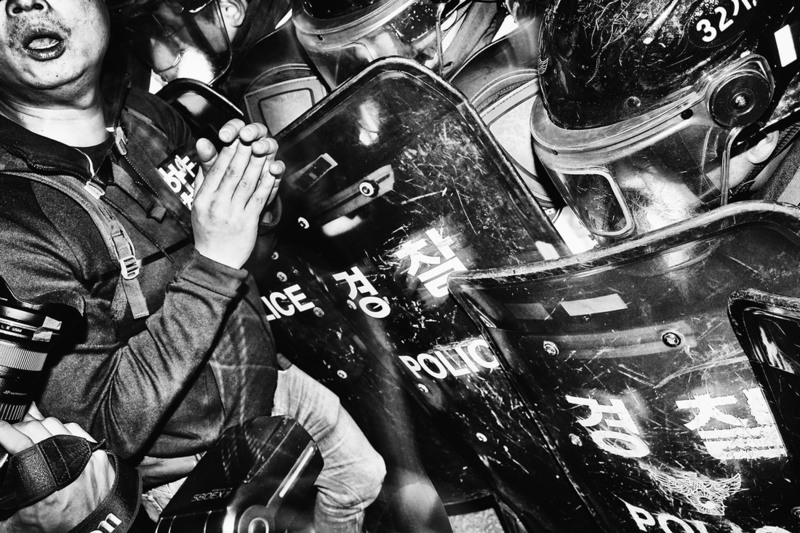 Resistance - An overwhelming number of police confront protesters around downtown Seoul. 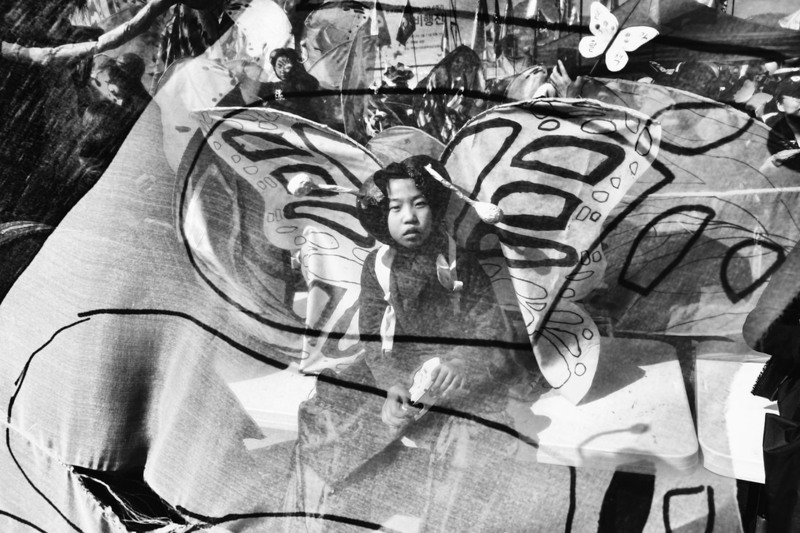 Through physical presence, they easily barricade numerous public streets. 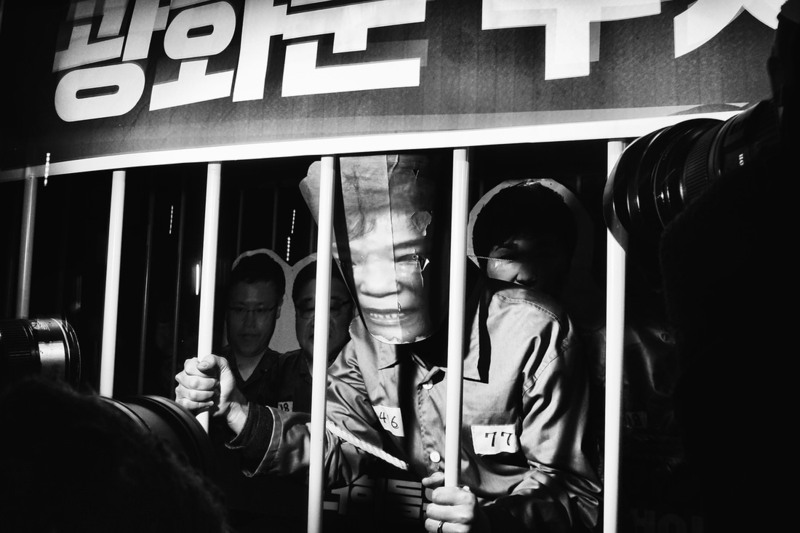 Behind Bars - Imprisoned and surrounded by journalists, a protester plays President Park Geun-hye during the Christmas Eve demonstration in Seoul, South Korea. 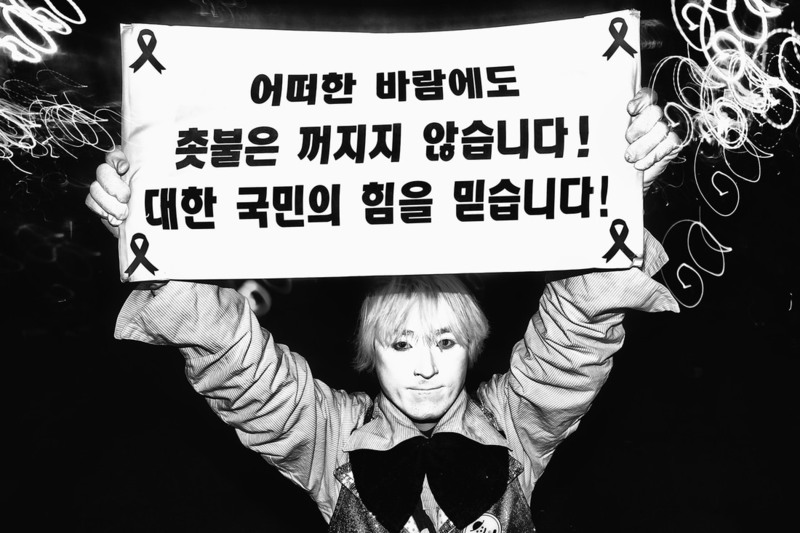 No Laughing Matter - Costumed as a clown in Gwanghwamun Square, a protester holds up a sign that reads: "Candles don't go out whenever the wind blows. We trust in the strength of the Korean people." 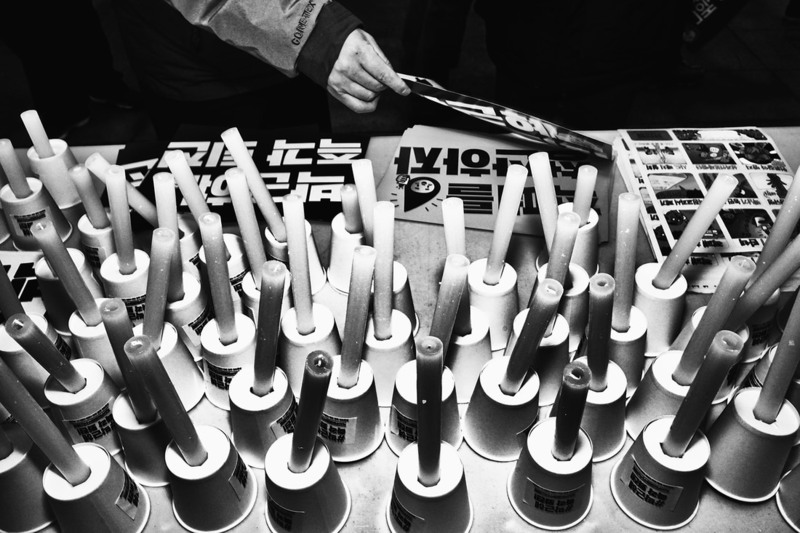 Taking Part - At a volunteer table full of candles for the night's vigil, a man picks up a protest sign during the 15th demonstration in Seoul, South Korea. 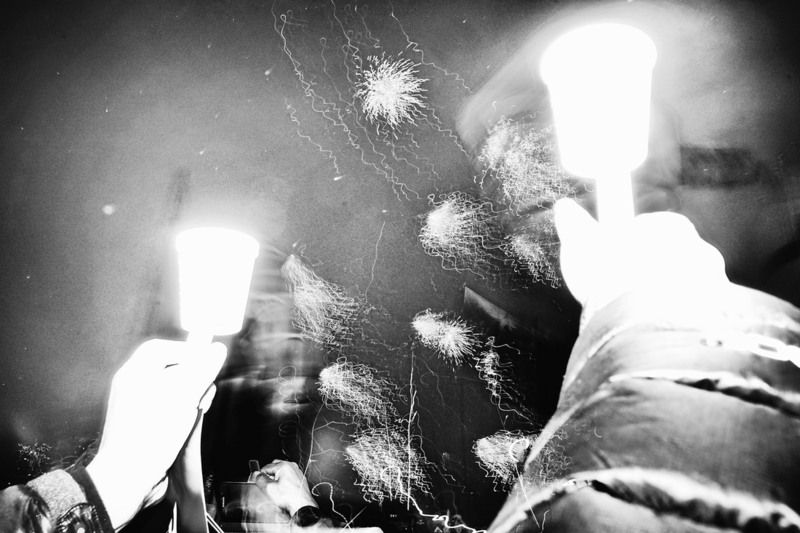 Holding On - Young boys with their vigil candles stand alongside Gwanghwamun Plaza. The sticker on the sign reads: Prevent seizing the media. 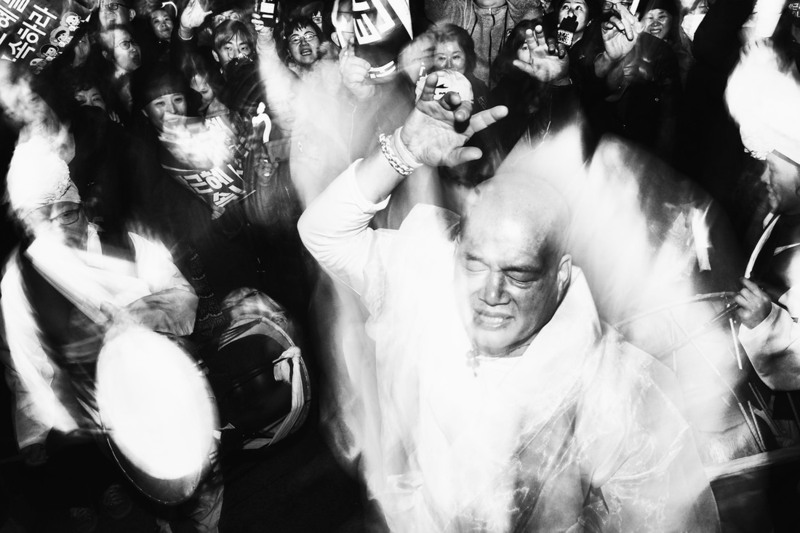 Seoul Spirit - As traditional musicians play, others chant and lose themselves in dance during the 19th straight weekend of demonstrations. 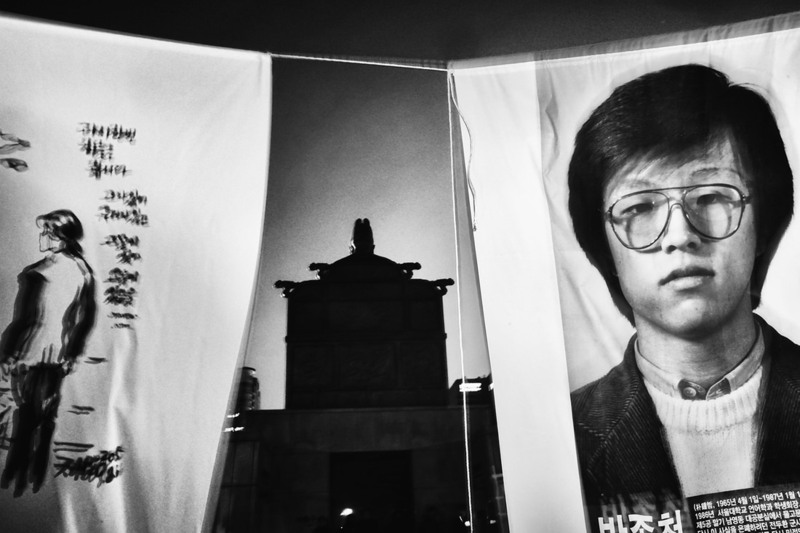 Glance Back - Behind Seoul’s iconic statue of King Sejong the Great, banners hang in remembrance of Park Jong-chul, a student who died after being tortured for his activism in 1987. 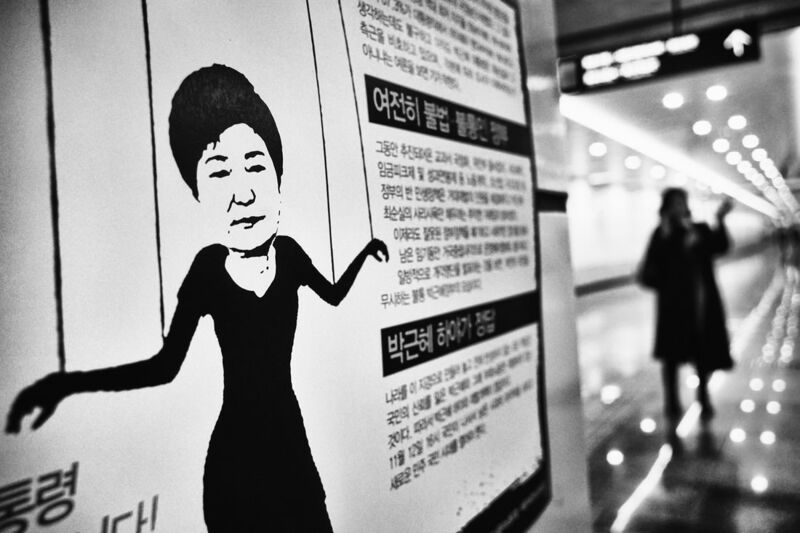 Strings Attached - A protest poster on the subway wall at Gwanghwamun Station. Anti-Park imagery was a common sight in and around the capitol. 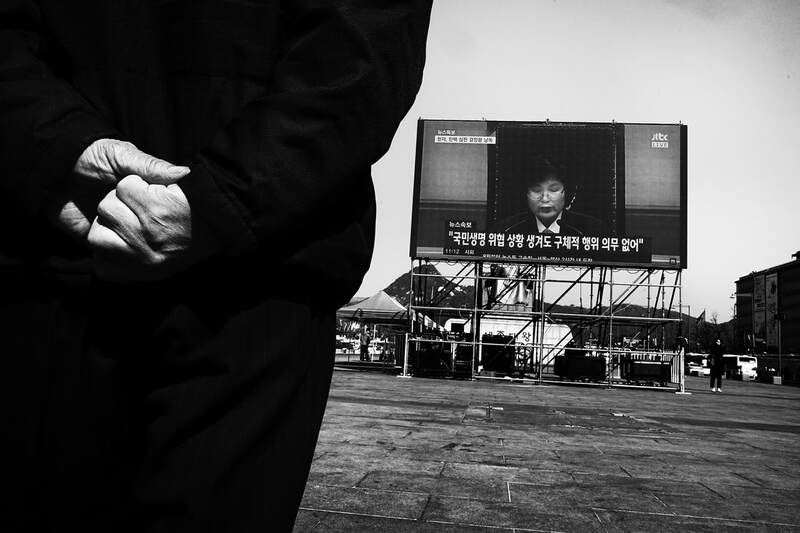 For Sore Eyes - Even before the formal process of President Park Geun-hye's impeachment began, a concerned public focused on Gwanghwamun Square as an area to peacefully assemble. 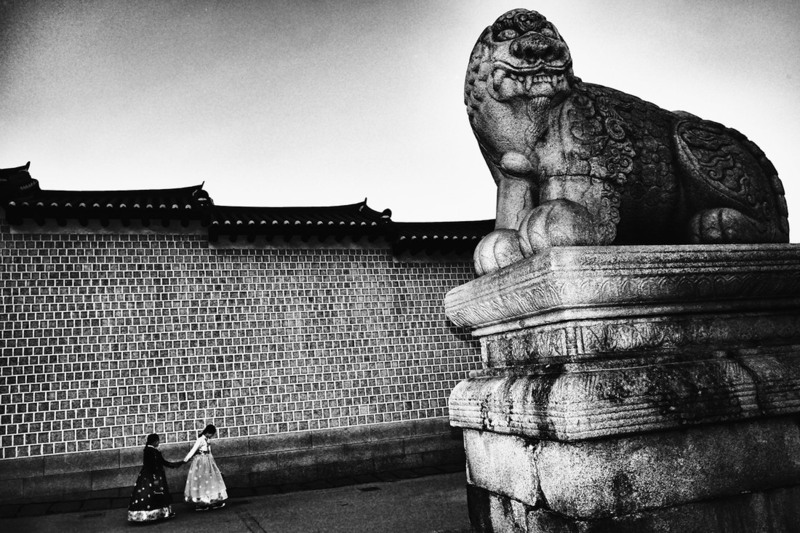 Hand in Hand - Two women dressed in traditional Hanbok walk by one of the Haetae lion guards at the entrance of Gwanghwamun Gate. Across the street the protests in Seoul continue. Judgment Day - Televised live from the main courtroom, the ruling to uphold the impeachment was delivered by acting Chief Justice Lee Jung-mi on March 10, 2017. 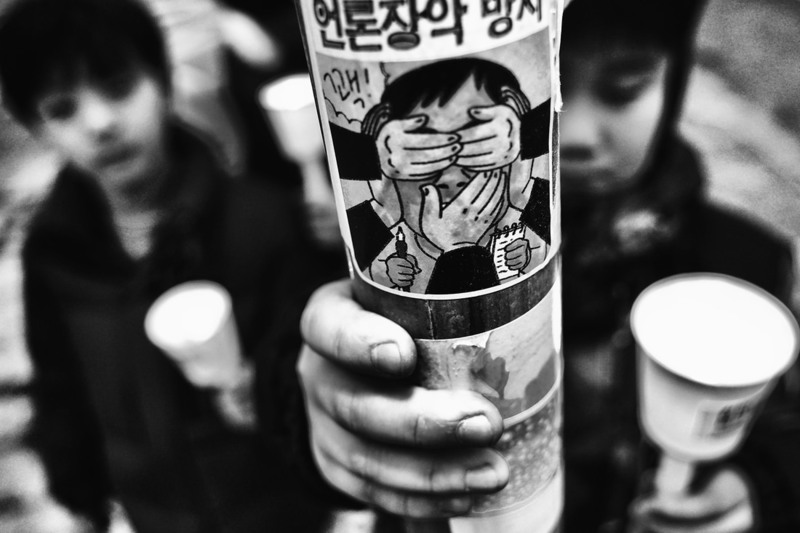 Waiting in the Wings - A young child sits with friends and family before participating in a parade celebrating Park Geun-hye's official removal from office. Victory - Protesters rejoice as a triumphant mood overtakes Gwanghwamun Square on March 11, 2017. 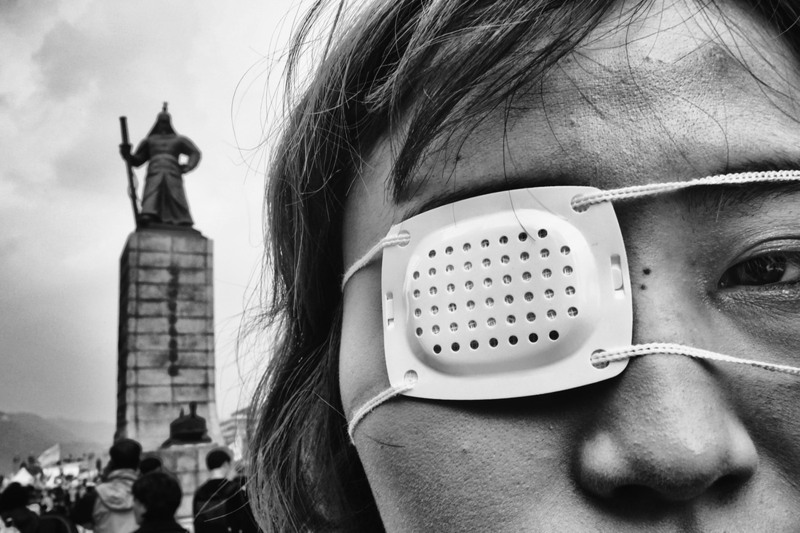 Parting Thought - As the protests fade into memory and unknown political realities emerge, a new question arises for South Korea: Where do we go from here?